Further afield the Eden Project, the Lost Gardens of Heligan and Trelissick are easily reached. Land’s End and Newquay provide air travel to the Scilly Isles and the tropical gardens of Tresco Abbey. St. Ives houses the Tate Art Gallery and the north coast offers many splendid surfing beaches and rugged walks. 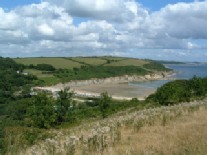 Probably one of the most beautiful estuaries in England. 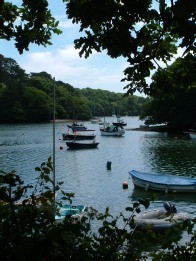 From the Helford Passage a passenger ferry will take you to Helford allowing you to explore some of the many creeks on the south side, including Frenchman’s Creek immortalised by Daphne Du Maurier.